Mifflin County is blessed with a large number of streams. These streams are defined as cold water and warm water fishery and are each assigned a designated use. Mifflin County has several streams that do not meet their water quality standards. These streams, known as “impaired streams”, can be found throughout the county. Pollutants causing these impairments can range from sediment, to stormwater, or even pH. The majority of impaired streams in Mifflin County are impaired due to nutrients (Nitrogen & Phosphorous) and sediment from agricultural sources. Decreased fish populations, higher costs of water treatment, wildlife impacts, and groundwater quality are just some of the impacts that result from these streams being impaired. 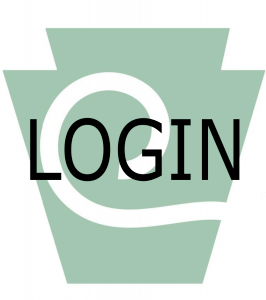 Click Here to view an interactive map of streams in Pennsylvania, including impaired streams, using the PA DEP’s eMap interactive mapping tool. 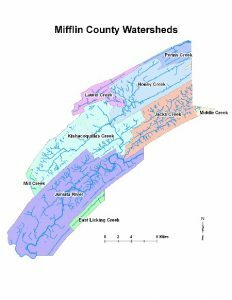 The Conservation District seeks to work with local, state and federal government, as well as citizens, community groups, and watershed organizations to educate, assess, protect, and restore the water resources within Mifflin County. In the past the District has worked with organizations to plant forested riparian buffers, perform FGM Stream Restoration, watershed assessments, develop watershed implementation plans, and much more. The District is currently undertaking efforts to restore two watersheds, the Upper Kishacoquillas and Hungry Run watersheds, through the implementation of best management practices (BMPs) with the ultimate goal of removing them from the impaired waters list.